In mid-August 2013 I received an email from a chap that I’d helped on a forum, it was something to do with his O2 Orbit mobile phone crashing, and seemingly I’d managed to help him out. 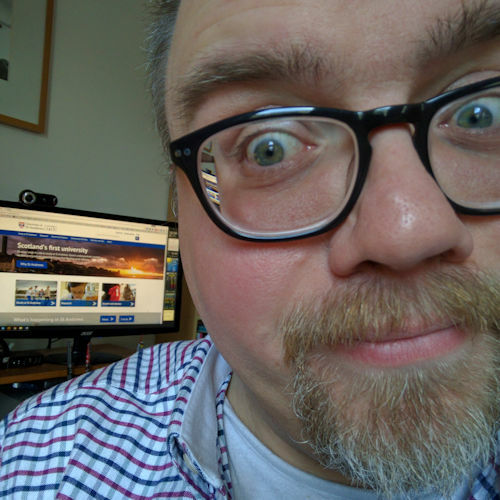 Brian’s son Mike was running a Kickstarter campaign to raise some money to make a short film that he’d written called Peat Reek and he was asking if I could help them reach their goal of £3,300. I think I sent him £25, which got my name in the credits and a copy of the DVD. The DVDs were released in October 2014 and sure enough my name is in the credits. This week Peat Reek became available for free on YouTube. Peat reek is illicit whiskey that’s been distilled over a peat fire, and so his film was about whisky smuggling in 19th century highland Scotland. If you have 26 minutes, give it a watch. Let me know what you think in the comments. In 2005 my American cousin Zack sent me a draft screenplay for a film he and his girlfriend were working on. In short, it was about a football-crazy schoolboy, Will, who travels half-way across Europe to watch the cup final in which his favourite team are playing. Well, the film has now been made and that’s the trailer for it (above)! I still have the two early drafts of the screenplay which Zack sent me to see if was British enough, and to enable me to do some research for the film, which was great fun to do! Jane and I caught up with Zack last year in London just as filming was about to begin. Casting had just finished with Damien Lewis (Band of Brothers, Life, Dreamcatcher, etc.) and Bob Hoskins (Who Framed Roger Rabbit, Hook, Brazil, etc.) taking lead roles. I just heard today that the film—now called simply Will—will be screening at the Cannes Film Market (Marché du Film) this week. Good luck Zack, we’ll be thinking of you. Has anyone (who reads this blog) seen the movie The God Who Wasn’t There? And if so, what you thought of it? I’m thinking about my Christmas list on Amazon and it’s a toss up between this and Trumpton – The Complete Collection. Bowling for Columbine did it to the gun culture. Super Size Me did it to fast food. Now The God Who Wasn’t There does it to religion. I did discover a website by GakuseiDon, who describes himself as “a moderate Christian” that examines the claims in film pointing out its inaccuracies. That website alone makes for interesting reading without seeing the film. Reminds me of part of the film Zeitgeist – The Movie. Now there’s a film with a few interesting things to say about money, given the current financial crisis. 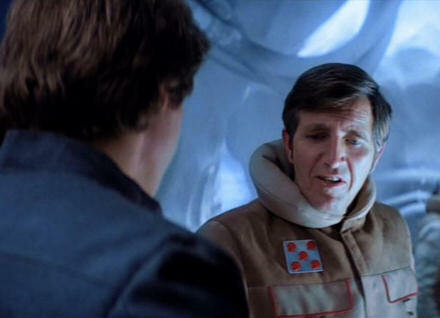 While watching Star Wars Episode V “The Empire Strikes Back” the other day I noticed for the first time that the Rebel commanders on Hoth all have little packets of Strepsils throat lozenges pinned to their jackets. I guess if I lived and worked in that sort of climate I’d do the same. Good thinking Rebels!